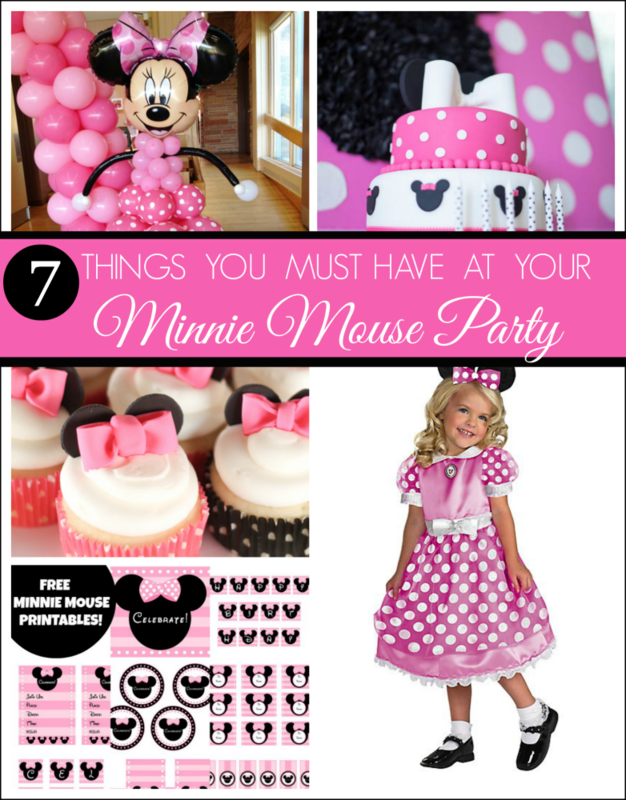 7 Things You Must Have at Your Next Minnie Mouse Party! Thinking of throwing a Minnie Mouse birthday party? Don't miss these 7 must-have ideas! The dessert table is the cornerstone of the party. Fill yours with Minnie Mouse themed treats and decorations! Every party needs a great cake, here's a bow-topped Minnie Mouse cake that turned out awesome! Check out more amazing Minnie Mouse cakes! Here's a set of Free Minnie Mouse party printables with everything you need to decorate our party party! Get some Minnie Mouse ears and "Mouse" yourself and your guests for the party! Cupcakes are great alternative for cake for an individual treat at your party, like these adorable ones decorated with fondant bows and ears! Minnie Mouse balloons are a fun and easy way to decorate for the party! A Minnie Mouse outfit lets the birthday girl match perfectly with the party theme! For many more Minnie Mouse party ideas, check out all these amazing Minnie Mouse party ideas on our site! Also, check out our Minnie Mouse party ideas board on Pinterest!